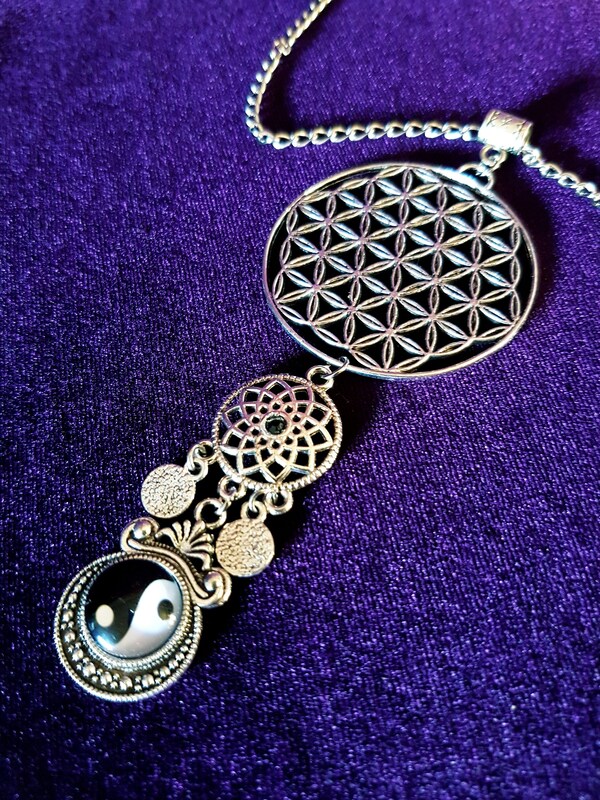 Flower of Life Yin Yang Necklace. 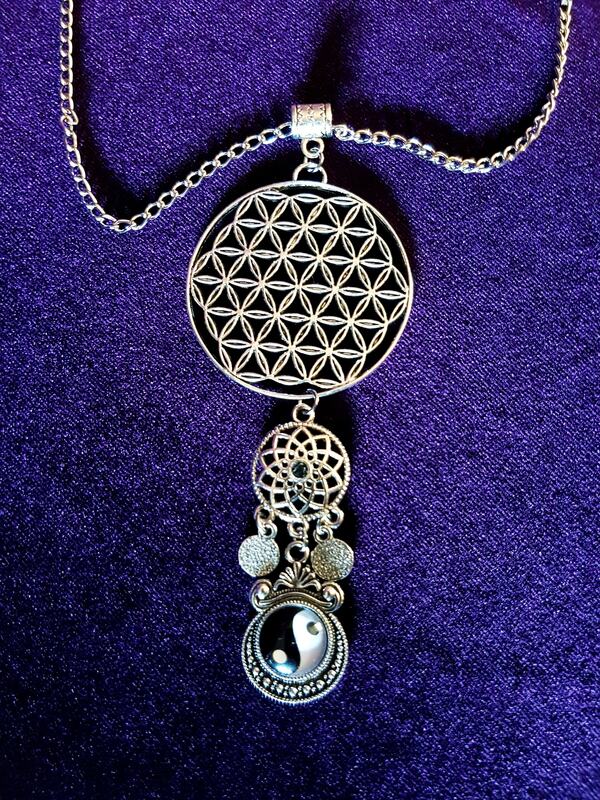 - 50cm silver colour chain. 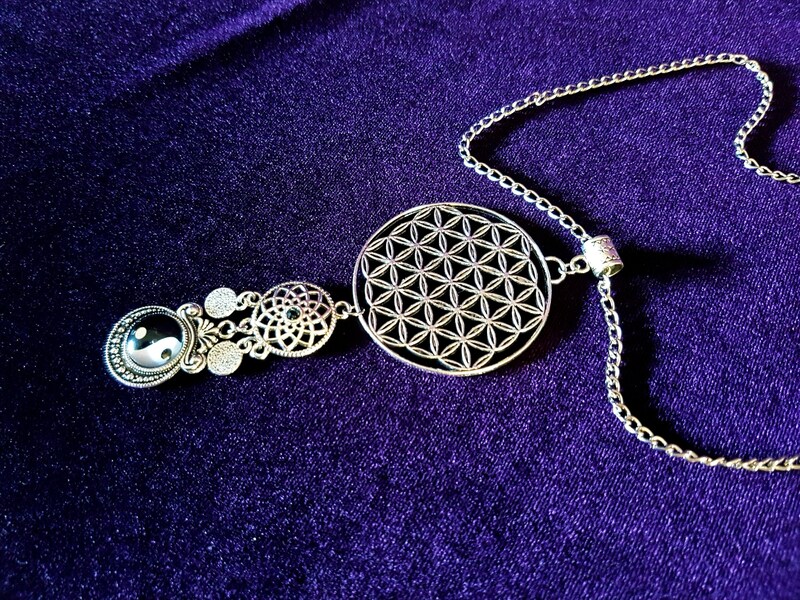 - 4.3cm diameter Flower of Life symbol. 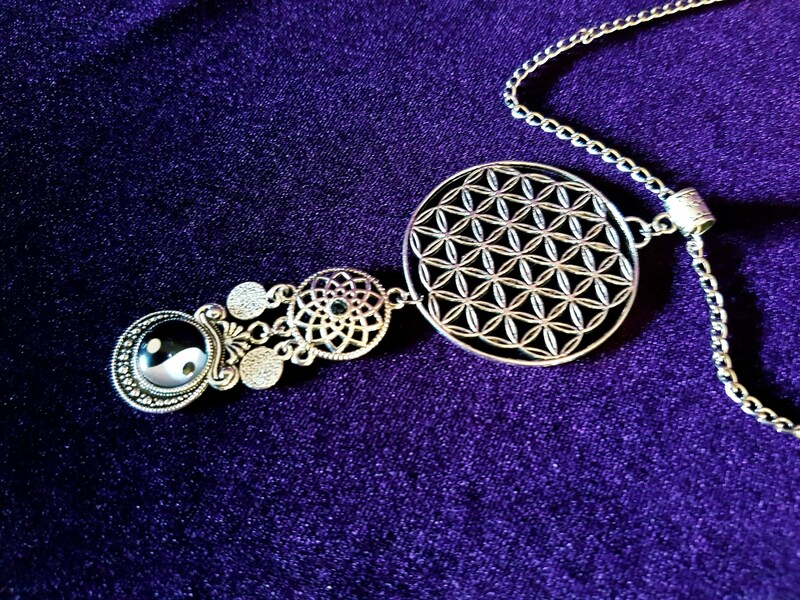 - Mandala flower balanced out with 2 weights on each side. 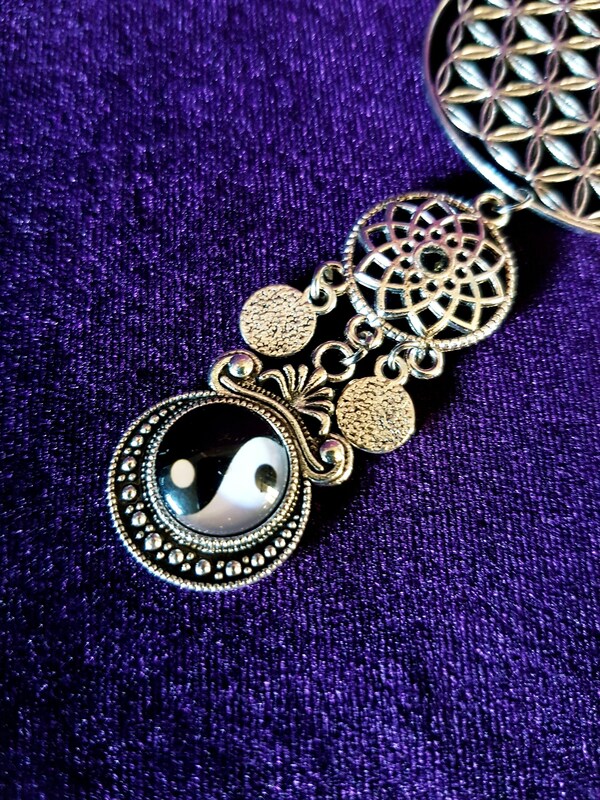 - Yin yang symbol at the end. 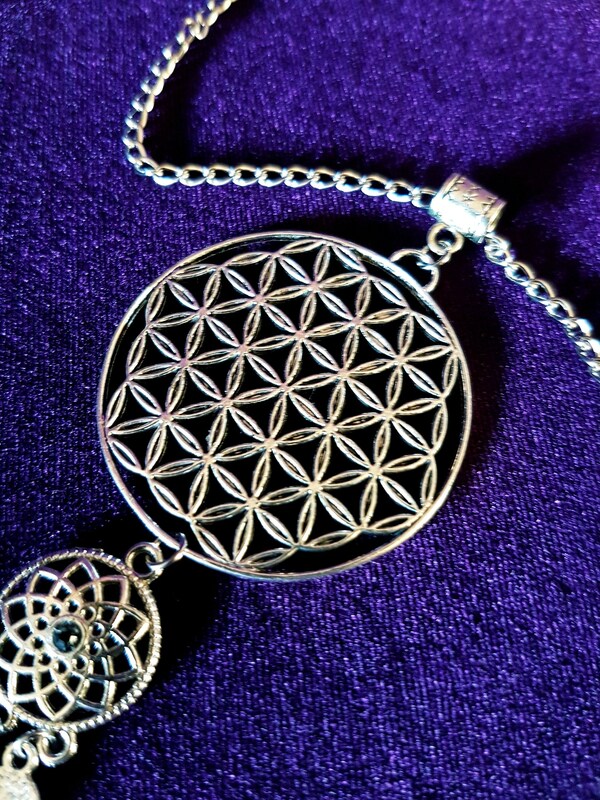 The Flower of Life has provided what is considered to be deep spiritual meaning and forms of enlightenment to those who have studied it as sacred geometry. 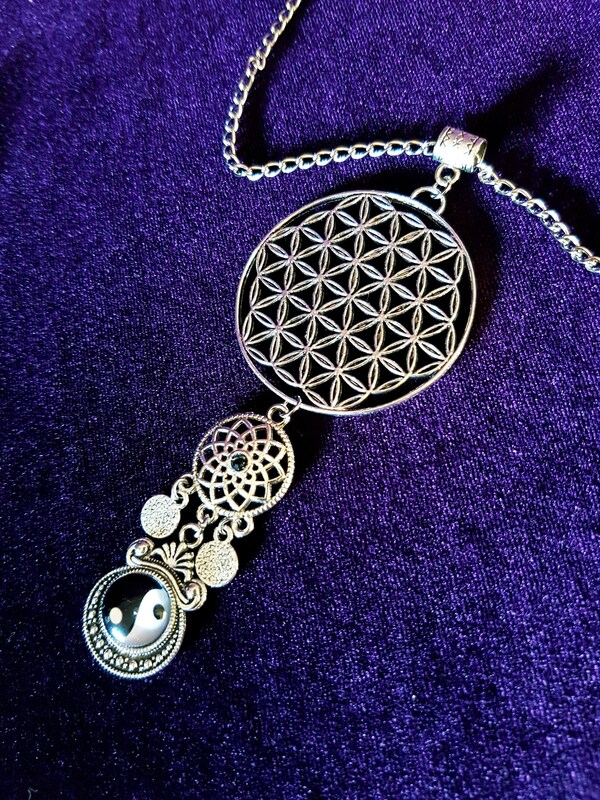 There are groups of people all over the world who derive particular beliefs and forms of meditation based (at least in part) on the Flower of Life.